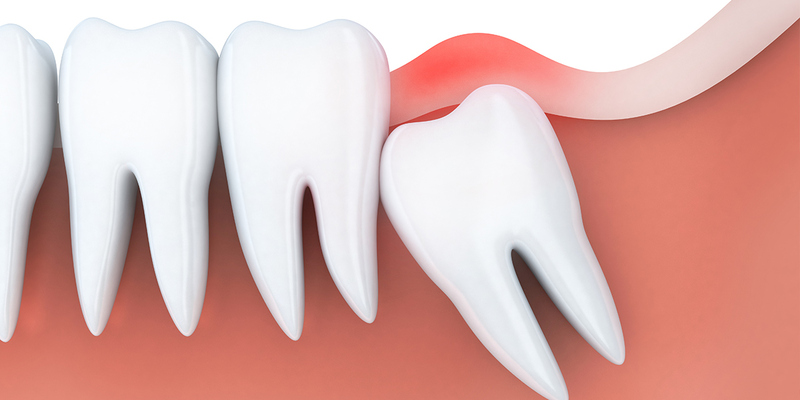 Have you heard the dental saying, “wisdom teeth…not so wise”? 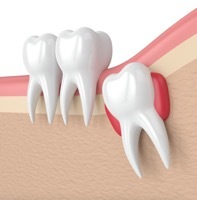 This is because quite commonly, wisdom teeth require extraction as they like to grow in a direction they are not supposed to! 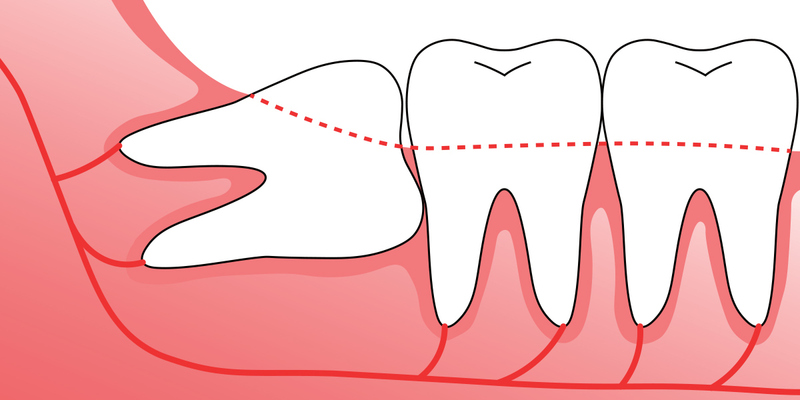 Wisdom teeth begin erupting from the ages of 17 to 24 and are the large teeth that emerge at the back of your mouth. Sometimes they grow at an angle and can become wedged in or ‘impacted’. When this happens, you may notice that your gums become swollen and red, as well as feel stiffness and tenderness. It’s always a good idea to get your wisdom teeth out sooner than later. The reason is the older you become, the longer your tooth roots grow. The longer the roots, then the closer to the nerves in your jaw they are. This can lead to a more complicated extraction and longer recovery time, so if you start noticing any issues with your wisdom teeth, come in and have them assessed as soon as you can. Not all wisdom teeth need to be extracted though! Some people have enough room for their wisdom teeth to grow, but sometimes gum infections and cysts may exist below the gumline and can only be seen via x-ray. Therefore, it’s important to have regular dental check-ups.